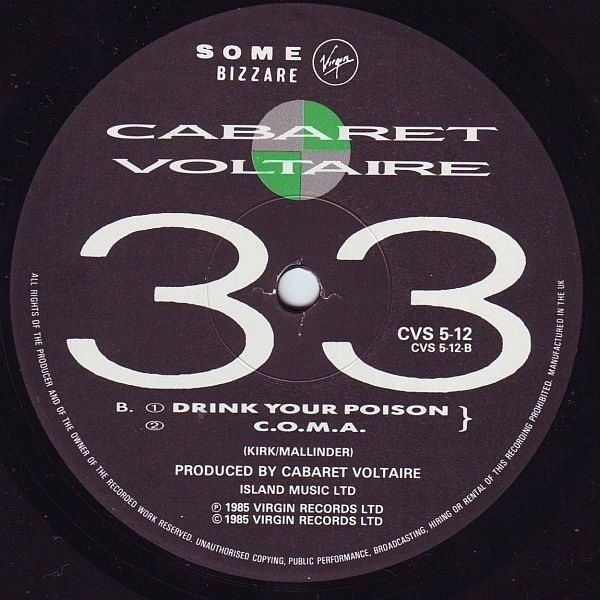 It didn’t take too long after the appearance of Cabaret Voltaire’s “Drinking Gasoline” 2×12 in 1985 for their next move to manifest. They were laying rubber in their Western Works studio as fast as they could. I can’t remember exactly how I had heard of this, but I recall that it was out and I had asked Mr. Ware to pick this up for me from Murmur Records on a trip over to my house for some music video goodness at the time of its release. When he arrived I had to throw it on the turntable immediately. Not like these modern times when years…nay, decades can pass between purchase and listening. The A-side was from the album that was forthcoming, but at the time, nothing was known about it. I even thought that a track from “Drinking Gasoline” may have been on their next album as well. In fact, two cuts from that project were bonus tracks on the CD of the infamous “next album,” though it would take a few more month to find this out. 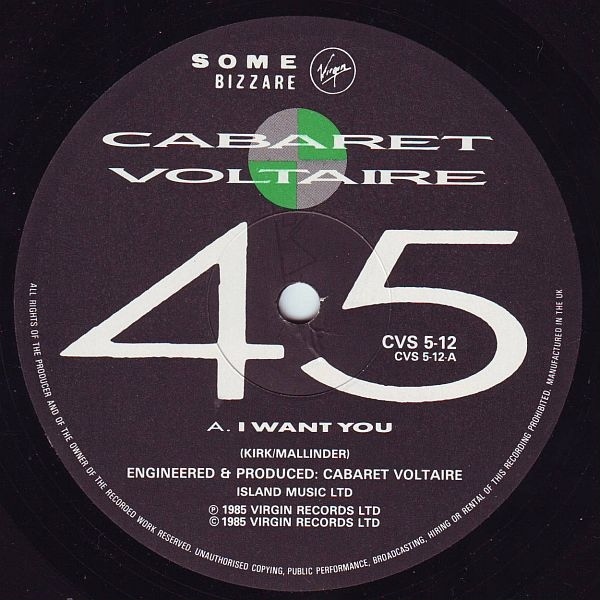 “I Want You” was a highly enervated, relentless thrash monster that was more vehement than the more trance-like material that had preceded it on “Drinking Gasoline.” The extended version of the A-side was of a piece with the many other 12″ singles of this period. It’s almost eight minutes of malevolent dance music; not a million miles away from the LP mix of the cut. Just longer. One difference to “I Want You” was that the first two minutes of the track hewed closely to the single/LP arrangement, before the mix opened up and became less paranoid and claustrophobic for almost four minutes of instrumental stretching out in relative peace. Then the song tightened up for another two to three minutes where it returned to the more frantic and cluttered motif of the intro. One interesting thing about the A/B side to this record was that the amount of music on the B-side was almost twice as long as what the A-side offered. For that reason, each half of the disc was mastered at a different speed for maximum fidelity. Side B offered two non-LP tracks. “Drink Your Poison” was the band on full-on funk mode with seriously nasty wah-wah guitar licks courtesy of multi-instrumentalist Richard Kirk. He’s not a technically brilliant player; Quincey Jones would never think to call him up for a session, so his essential naivety allowed him to attain a vicious tone here that marks exactly how Cab Volt should approach funk. On their own, malignant terms. The second of the B-sides was the psychotic cut-up of “C.O.M.A.” It sounded like the whole “The Covenant, The Sword, And The Arm Of The Lord” album had been thrown in a blender with the purée button pressed. It sounds like it may have been digitally edited at a time when that was really difficult to do. It is 8:30 of random chunks of the album’s tracks, repeated in ultra-brief bursts for many, many times and edited together with a trowel. Was it done on a Fairlight? That’s my guess. No one would have done the tape editing necessary to achieve this by hand. More to the point, if Cab Vol couldn’t have cranked this out in an hour, they probably would not have bothered. It’s definitely one to play when it is time for the guests to leave your party at 3:00 a.m. 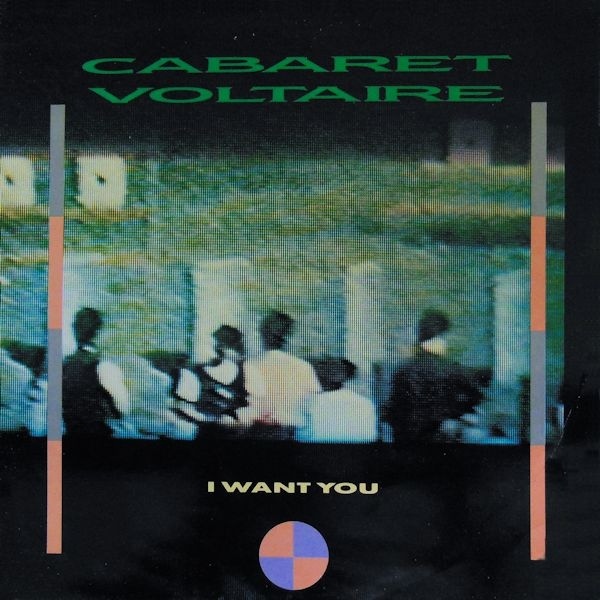 This entry was posted in Core Collection, Record Review and tagged 12" single, 1985, Cabaret Voltaire, Remixes. Bookmark the permalink. One of my absolute faves from the Cabs canon and a regular of my DJ sets in London electro/new wave clubs over the last 20 years. “The Covenant…” Is still my favourite album of theirs after all these years-the production,editing and mastering is just so precise and sharp.Along with the best of Tony Mansfields productions,I always rate it as a benchmark for comparing other works of electronic music.I have never understood why that album is so maligned within the Cabs community. Gavin – Funny that you consider “Covenant” “sharp” and “precise,” while I found it loose and chaotic following the “slick” “Micro Phonies.” It’s my favorite Cab Volt record too, but I’m responding to what I find to be the “dirty” 8-bit sound of it. I suspect that an Atari ST may have been involved. I don’t think that had the budget for an Amiga. They were pretty scarce on the ground in 1985 in any case. You say it’s maligned within the Cab Volt community? That’s crazy! “Groovy, Laidback + Nasty” must surely be the magnet for CV fan ire, yes? On the other hand, your esteem for Tony Mansfield warms the cockles of my heart. Let’s form a club. Well Monk & Gavin, What you have on Covenant is a band wrestling with chaos and and precision. Yes, I know I sound like a guy just asking “can we all just get along,” but The Cabs weren’t the only band at the time playing with these two paths and finding an exciting middle ground. New Order would explore the same on Low-Life and Brotherhood. Covenant is certainly The Cabs’ most entertaining album. It sounds immediate and easy which lends itself well to the repetition they liked to employ, but it’s hard and edgy at the same time. There’s a sense of paranoia on Covenant that is sort of intoxicating. I will have to dig my vinyl copy out. Forgot what it sounds like. My two fav cabs are Micro- phonies and Red Meca. I lost interest in the Cabs by 86 but got back into them when they released their triology on Instinct. That was some great music. Regarding the Fairlight. Unless they had a dollar deal with Trevor Horn, doubt they could afford to rent one. Maybe for a day ! Could have been a Synclavier or PPG also. Jordan – I just read this interview with Kirk on The Guardian. Definitely a Fairlight, and rented by the hour! Could not find the link but that would be appropriate,by the hour! That sounds like a Cabs budget.I read that at the time,a Fairlight cost the same as a home in the UK.